← The divine right of governors? Didn’t mean to leave it a week before returning. It’s the busy season, brush trimming isn’t part of the routine yet and I’m fitting it in among other jobs. With the addition of the Honda and the heavy sawzall I can cut branches right up to jobs where it would make more sense to take the chainsaw out of mothballs. And the proposal specifically specifies that The Chainsaw Pays Extra. I really don’t want to take the chainsaw out of mothballs. Only planned to be out about an hour, but the objective was to finish trimming the road shoulders all the way out to one of the busiest cattlegates at the county road and it turned out there was more trimming to be done than I thought. So I filled the trailer twice, then I had to backtrack to the boonies well away from where anybody lives to dump it. Can’t remember if the topic has come up before, but might there be any use for an electric chainsaw? Kinda like something between the 120 volt Sawzall and the gas chainsaw. I have a B&D cordless chainsaw but don’t find it as useful as the cordless recip saw. A chainsaw depends on velocity and engine power, and mine has neither. I don’t know: my corded recip saw is much more powerful than my cordless and it might be the same with a corded electric chainsaw. But I’m not going to spend the money to find out. I have one of these . . . I use the saw itself alone, without the pole, most of the time and it’s the handiest thing. Granted, you need AC power, but most of my place is reachable with a couple of extension cords and it doesn’t seem to lack for power. Admittedly my needs are modest, but I use nothing but corded electric chainsaws. It’s so much easier to drag out an extension cord than to screw with a reluctant seldom-used gas engine. If that’s only an eu1000 , it won’t run an electric chainsaw working hard. or any similar that doesn’t draw much over 15 amp. An electric saw with an 18-inch bar? That’s either hubristic as hell or awesome, depending on whether it can pull it off. BTW Mark: I did get your emails, even though for some reason I can never reply to them from my regular addy. A while back, I was talking to a fellow who sells and services chain saws about a carbide toothed chain that had been recommended by a fire fighter for cutting juniper trees. He said the sand that gets blown into the bark by the wind will dull anything pretty quickly. Even expensive carbide. He also said that for most work on junipers, the sawzall is the tool of choice. Just thought I tell you what I heard. And 155 would seem to be a reasonable sample size. Of course, it ain’t for the professional lumberjack. And you do have to make sure you cut so the blade doesn’t bind as the cut proceeds. But that’s the case for almost any saw used for cutting trees. By the way, I just picked that saw at random to answer your question as to whether your generator could power it. I expect that you can browse through your available sources and decide what would work best for you, if you decide to go that route. He said the sand that gets blown into the bark by the wind will dull anything pretty quickly. Even expensive carbide. He also said that for most work on junipers, the sawzall is the tool of choice. Yes! Thank you, you bring up an excellent point vis-a-vis sawzall vs. chainsaw. When I first moved here I spent a year and a half working in a small engine/chainsaw repair shop, where I learned everything I know about chainsaws. The owner, an oooollld-time chainsaw guy, did not normally stock carbide chains for that very reason: Carbide does not make economic sense when the principal wood being cut is alligator juniper. Juniper is just a very dirty wood and dulls chains rapidly, carbide coatings be damned. I began moving from a chainsaw to a sawzall originally because I began heating with junk lumber/pallet wood rather than juniper and one embedded nail will ruin an entire expensive chain whereas a cheap disposable sawzall blade will sail right through it. 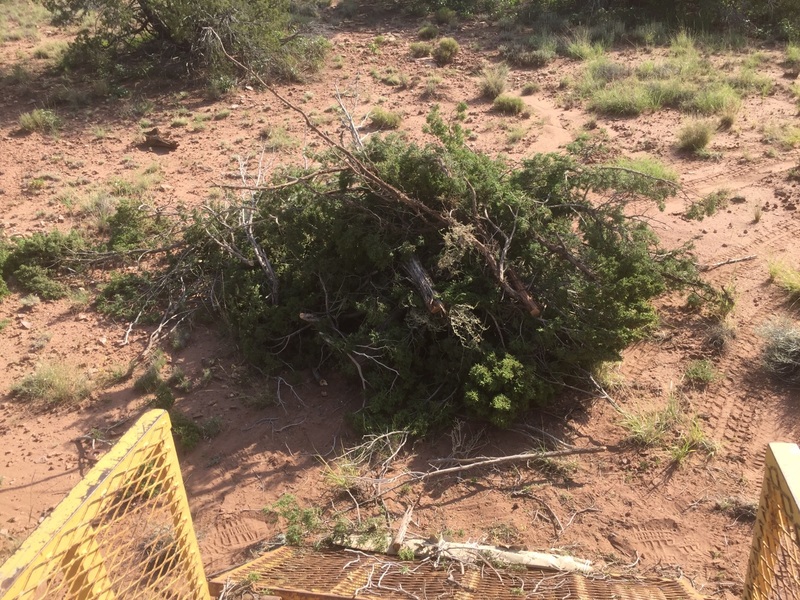 But once I got my first cordless sawzall I learned almost accidentally that a not-very-cheap-but-still-cheaper-than-a-chain brush blade lasts much longer cutting juniper than a chain does. The saw blade has much more robust cutting teeth and doesn’t move as fast or get as hot. 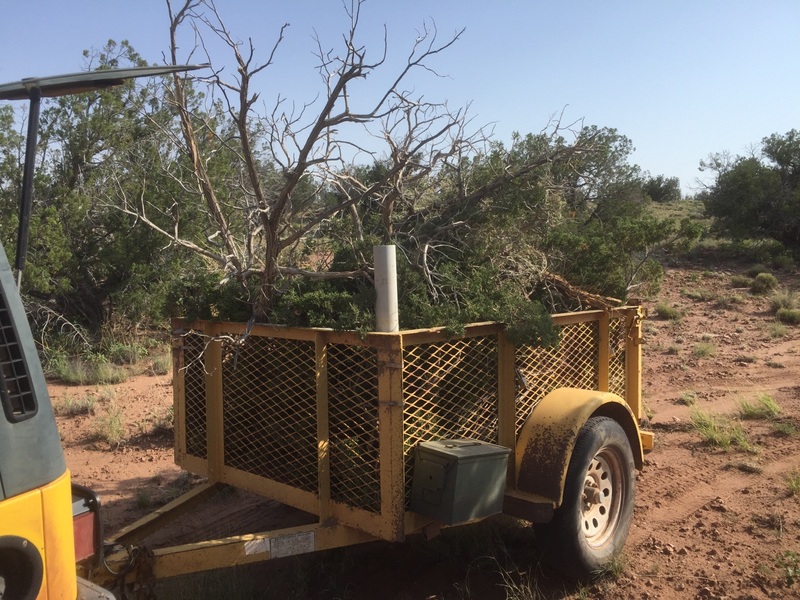 It doesn’t cut as fast, it requires electricity, and it’s not big or powerful enough to cut through a juniper trunk but it’s fine for branches. 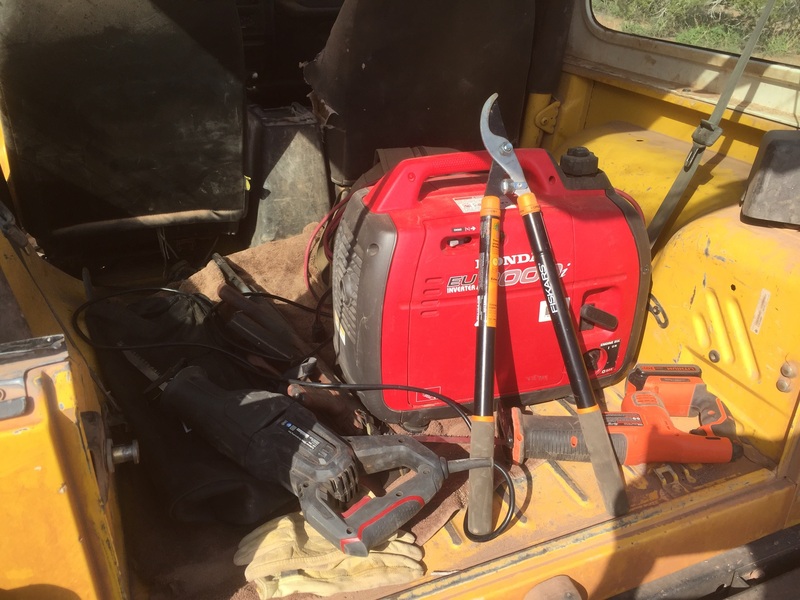 It’s cheaper and doesn’t require constantly running chains to town for detailed sharpening (I could touch up a chain but never was very good at file sharpening) and it removes all the hassles of keeping a gas-powered saw operating in the boonies. In short I mothballed my Husqvarna about three years ago and haven’t touched it since.